After passing through customs at Narita Airport, look for the JR Ticket Service Center (there is one at Terminal 1 and another at Terminal 2) and exchange your JR Pass voucher. 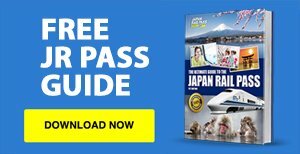 Activate the Pass right away so that you can use it to reserve a seat on the Narita Express to Tokyo. With a JR Pass, you can use the JR Yamanote, JR Chuo, JR Saikyo, and JR Shonan-Shinjuku Lines to go to Shinjuku Station. In Shinjuku, you can find the Tokyo Metropolitan Government Building (it has an observation deck that offers panoramic views of the city), parks (Shinjuku Gyoen and Central Park), department stores (Isetan, Odakyu, Keio, Takashimaya, Lumine and Mylord), and electronic stores (Bic, Yodabashi Camera and Yamada Denki). At night, the district is vibrant and alive, with many bars, restaurants, pachinko parlors and other establishments in its Kabukicho, Golden Gai and Omoide Yokocho areas open until midnight. 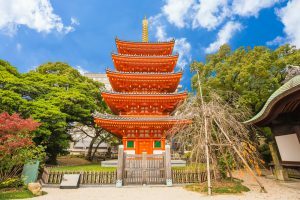 In the morning, visit the Meiji Shrine and Yoyogi Park in Harajuku (along the Yamanote Line) and spend the afternoon immersing yourself in the otaku culture in Akihabara and Ikebukuro (both also along the Yamanote Line). In the evening, go to Odaiba (Rainbow Bridge, Gundam Statue, DiverCity Tokyo Plaza and Aquacity). You can use your JR Pass on the Yamanote and Keihin Tohoku Lines up to Shimbashi Station, and then transfer to the Yurikamome Line to reach Daiba Station (not covered by the Pass; single ticket costs 320 yen). 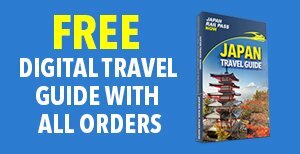 Depart Tokyo at around 8 am to get to Kyoto before 11 am (the trip is covered by the JR Pass). 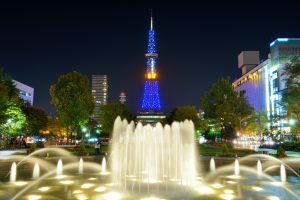 Spend the rest of the day at Kyoto Aquarium and Kyoto Tower. In the morning, check out Fushimi Inari Shrine and Nijo Castle. 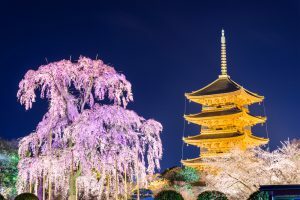 Afterwards, visit the temples of Eastern Kyoto (Ginkakuji, Kiyomizudera, Kodaiji, Nanzenji and Eikando) and Northern Kyoto (Ninnaji, Kinkakuji, Ryoanki, Sanzenin and Manshuin). 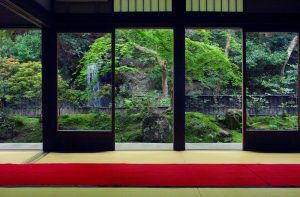 With your JR Pass, take a 20-minute train ride on the JR Sagano Line from Kyoto Station to Sagaarashiyama Station. Some of Arashiyama’s top attractions are the Bamboo Groves, Monkey Park, Togetsukyo Bridge and Tenryuji Temple. 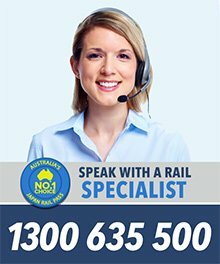 Take the Saga Scenic Railway tour and enjoy the gorgeous natural scenery of the area. About 3.5 hours away by Shinkansen (covered by your Pass), Fukuoka is popular for its spectacular Gion Yamakasa festival. Visit the Fukuoka Castle Ruins and eat the widely-revered Hakata ramen at one of the many ramen shops at Canal City. 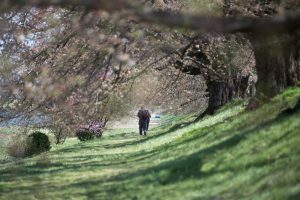 Enjoy the beautiful landscapes and gardens, as well as the great views of the water at Uminonakamichi Park. 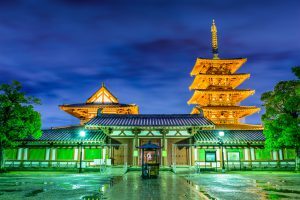 Check out the Shofukuji Temple, which is the first Zen temple in Japan, and relax at the Momochi Seaside Park. At night, try the various local cuisines served at Yatai, or food stalls. From Hakata Station in Fukuoka, take a Shinkansen to Kagoshima-Chuo Station and transfer to the JR Nippo Line to Kagoshima Station. The trip is covered by the JR Pass and takes about 2.5 hours. Visit the Kagoshima Aquarium and Shiroyama Park. Board a ferry early in the morning for a day trip to Sakurajima. The port is 15 minutes by foot from Kagoshima Station and a single ticket for the 15-minute journey costs 160 yen (not covered by the JR Pass). 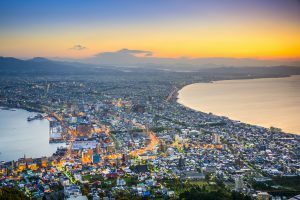 There are many activities to do and things to see in Sakurajima, including hiking (Nagisa Lava Trail), enjoying a foot bath (Nagisa Park Foot Bath), relaxing in onsen (Magma Onsen), and taking advantage of the views from the observation decks (Yunohira, Arimura and Kurokami). The fastest way to get to Hiroshima is by taking the Limited Express Kirishima Line from Kagoshima Station to Kagoshima-Chuo Station, and then a Shinkansen to Hiroshima Station. The journey takes about 3 hours and is fully covered by the JR Pass. 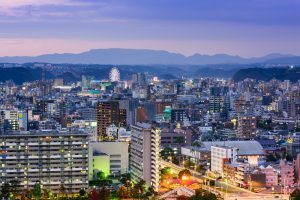 Once in Hiroshima, explore the downtown area and have fun shopping at the numerous boutiques and shops in the Hondori arcade. Also, do not forget to try the Hiroshima Style Okonomiyaki, which is served in several restaurants along Hondori Street and Aioi Street. 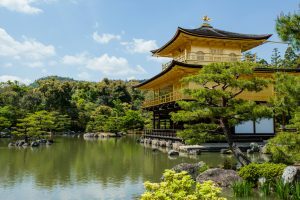 Buy a 1-day tram pass (600 yen) to get easy and convenient access to the city’s top attractions, including the Hiroshima Peace Memorial Park, Hiroshima Castle, Shukkein Garden and Mazda Museum. Next city stop is Osaka, but you can stop in Himeji for a few hours along the way. 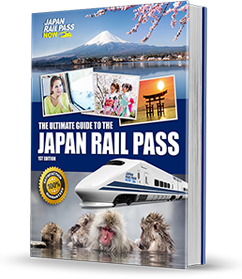 Using your JR Pass, take a Shinkansen from Hiroshima to Okayama Station, and then transfer to another Shinkansen to Himeji Station. 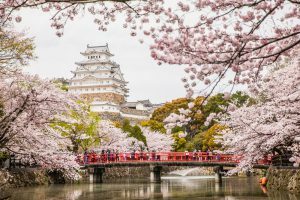 The Himeji Castle and Kokoen Garden are only 1 kilometre from the train station, so you can complete the tour in 3 hours. In the afternoon, take a Shinkansen to Shin-Osaka Station and transfer to the JR Kyoto Line to Osaka Station. The trip is just a little over an hour long. Once in Osaka, you can do a quick tour of the Osaka Castle, Namba and Umeda. From Osaka, you can catch the Limited Express (Wide View) Hida train, which takes you to Takayama, without needing to transfer trains, in about 4.5 hours (covered by the Pass). Spend the rest of the day exploring the Old Town district, which is home to old sake breweries, museums and heritage houses. 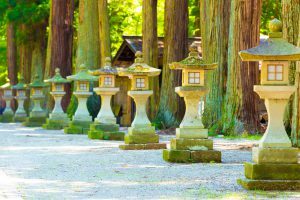 Start the day with a pleasant hike on the 3.5-kilometre Higashiyama Walking Course, which takes you through a wooded area with shrines, temples and castle ruins along the way. Then head to the Hida Folk Village to see the beautiful, traditional huts, gassho-zukuri houses and other old (but well-preserved) World Heritage buildings. From Takayama Station, take the Limited Express (Wide View) Hida line to Toyama Station, where you need to transfer to a Shinkansen to Omiya Station. Then board another Shinkansen to reach Sendai Station. 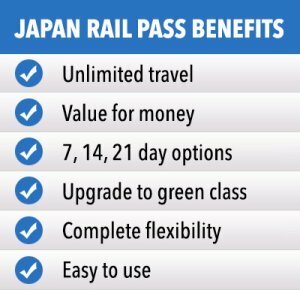 The entire journey takes between 5 and 6 hours and is fully covered by the JR Pass. 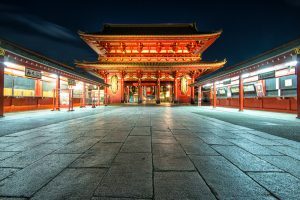 Some of Sendai’s must-visit attractions are the Zuihoden Mausoleum (Date family’s mausoleum), Aoba Castle, Rinnoji Temple, Osaki Hachimangu and Ichibancho Arcade. From Sendai Station, take the JR Hokkaido Line to Shin-Hakodate-Hokuto Station (takes about 3.5 hours), and then transfer to the Hakodate Liner to Hakodate Station (takes 20 minutes). The entire trip is covered by the Pass. 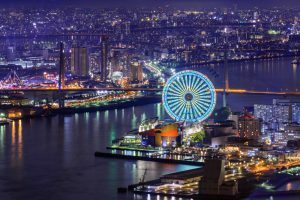 Take the Hakodateyama Ropeway tour (not covered by the JR Pass; round trip costs 1,200 yen) to enjoy magnificent views of the city and the surroundings, especially at night. At the summit, you can also find a café, restaurant and souvenir shops. From Hakodate, Sapporo is less than 4 hours away by train. Use your JR Pass to get on the Limited Express Super Hokuto line to Sapporo Station. Visit the Shiroi Koibito Park, a theme park run by local chocolate company Ishiya, and learn how to make chocolates, cookies and other sweet treats. 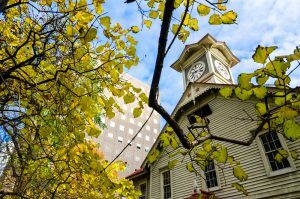 Then head to the Sapporo Beer Museum to discover the origins and history of Sapporo Beer, and participate in beer tastings! 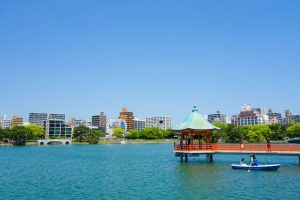 Visit Odori Park, Botanic Garden and Historic Village of Hokkaido (an open air museum consisting of several dozen ancient buildings that tell the history of the region). At night, have fun in Susukino, with its many bars, karaoke shops, restaurants and pachinko parlors. From Sapporo Station, take the Limited Express Super Hokuto train to Shin-Hakodate-Hokuto Station and then transfer to a Shinkansen to Tokyo Station. The entire trip is covered by the JR Pass and takes about 8.5 hours. 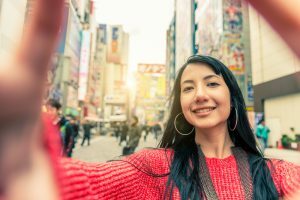 Spend your remaining time in Tokyo wandering the lively district of Shibuya, where you can find numerous shops and department stores, night clubs, bars, game centres, love hotels and other establishments. Center Gai and Koen Dori are two popular busy zones in the area. Take the Narita Express from Tokyo Station to Narita Airport. The 1-hour trip is covered by your JR Pass.